And the crowd said, "AMEN!" 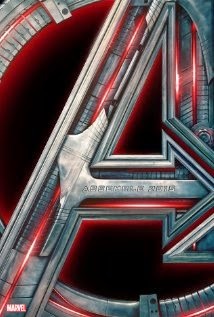 AVENGERS: AGE OF ULTRON is two hours and 21 minutes of total awesomeness. It is fast-paced, high-stakes, and intriguing story-telling at its comic-book finest. Director Joss Whedon should be given a lot of credit for allowing the cast to have the range they needed to explore and develop their characters even more. Because of that we get some of the best scenes we have ever had the privilege to witness in the MARVEL universe. This movie is hysterically funny, way more so than any of the other MARVEL films, with the exception of GUARDIANS OF THE GALAXY, but it is also deep and at times will pull at your heartstrings. There is a freedom and a depth to this movie that we've yet to see in any other comic book flick that may even lead to its eventual nomination for awards other than just the technical stuff. It is fun and spectacular from beginning to end. I don't say this often because the price of going to the movies is so ridiculous, but this is the movie you need to see in IMAX or RPX and in 3D. It's worth the money. This is easily the best popcorn flick of 2015 so far and it's going to take some serious doing to knock it from the top spot. This is an interesting film because it is a fascinating story that is heartbreaking and compelling yet it is brutally boring in its execution. It is an Australian film that has made its way to the US. Maybe they find this style of movie-making much more palatable down under, but for US audiences it feels slow, drawn out and dialogue heavy. 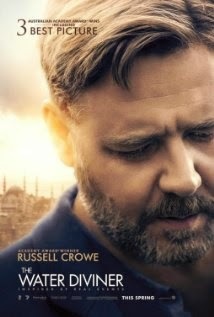 Russell Crowe is incredible and believable in his role, but it's not enough to overcome the nearly two hours of dullness on screen. This film won three Australian Academy Awards including Best Picture, but it's not even worthy of a nomination here. It is worth seeing at some point if you like post World War period pieces, but it won't be a life-changing or even much of a moving experience for you.